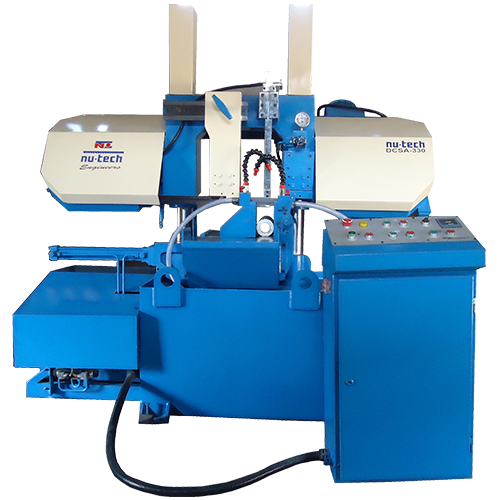 A bandsaw is a saw with a long, sharp blade consisting of a continuous band of toothed metal stretched between two or more wheels to cut material. They are used principally in woodworking, metalworking, and lumbering, but may cut a variety of materials. 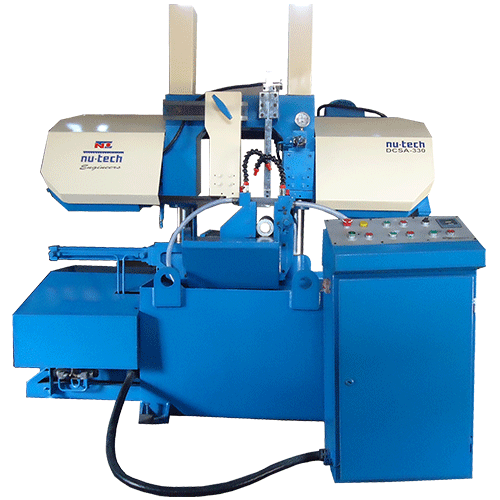 Whereas Bandsaw Machines are automated by attaching the bandsaw with motor and other devices for continuous cutting. 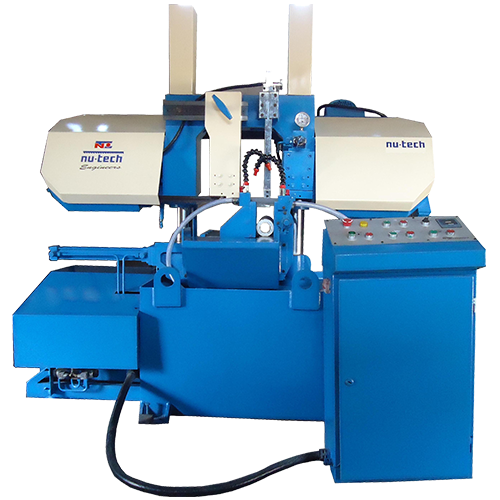 NU Tech Engineers is a well known manufacturer of Bandsaw Machine from Surendranagar with a massive 23 years of experience. 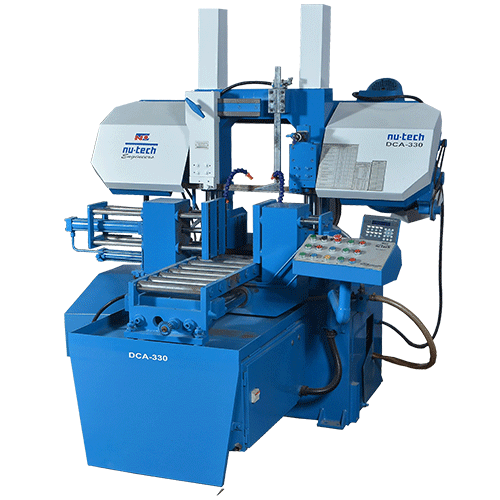 We are focusing on manufacturing the best Metal Cutting Machine with excellent features and benefits at attractive prices. Our main goal is to deliver finest quality products to our esteemed clients. Customer satisfaction is always our first priority so to achieve that we actively participate with them for any problems. Our versatile product range ensures cover up your every technical need required for your business. For any query regarding our product range don’t hesitate to contact us . .